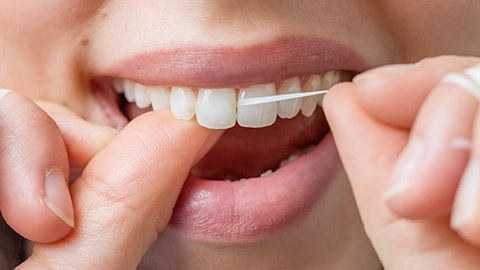 Daily brushing and flossing is critical to maintaining healthy teeth and gums, but it doesn’t take care of everything! It’s very important to come into Hammond Dental Centre for regular hygiene visits. These appointments provide your teeth and gums with a thorough cleaning, inspection, and preventative maintenance. During these appointments, we will "scale" your teeth — removing tartar build-up — and polish the surface — removing minor stains. You may also receive a fluoride treatment to help fight decay. But these visits are more than simply a professional cleaning — they are a key part of preventative maintenance. The visits provide an opportunity for us to tell you if you are brushing and flossing correctly, and examine your teeth and gums for potential problems. It's also important to have your gums inspected, because periodontal disease (gum disease) can lead to serious health problems — including heart attacks. Regular hygiene visits allow Dr. Townshend, Dr. Albert, Dr. Khouri and their team to spot problems and take action immediately — preventing the issues from getting worse. If you need more information about Oral Hygiene/Cleaning in Bedford, contact us today. Q: How often should I come in to Hammond Dental Centre for a hygiene visit? A: It is generally recommended that you visit us twice per year for a hygiene visit. This allows us to monitor the state of your teeth as gums, as well as provide a thorough cleaning For patients with active periodontal disease, we often see them at 3-4 month intervals to help control the disease.